Lamp oil is a necessary item for outdoor enthusiasts and those living in areas where electricity is not readily available. If you live in an area where electricity fluctuates often, based on environmental factors, then you should invest in lamps that run on lamp oil. The lamp oil lasts for years and even decades, and as long as you have oil lamps, you always have access to lighting. Lamp oil can last forever. According to CFD Publications, lamp oil has "an indefinite shelf life" as long as you store the oil properly. Place the bottle of lamp oil in a dry and slightly warm area, keeping the oil at room temperature when not in use. Avoid placing the oil in colder rooms and do not freeze the lamp oil. When you freeze and then defrost the oil, you risk causing an explosion. As the temperature of the oil quickly rises, an explosion is possible. When using lamp oil inside a lamp, the oil lasts approximately as long as a similarly sized candle. Even a small lamp may last for three to four hours if you keep the flame size low. Liquid paraffin burns 1/2 ounce for every hour that the lamp burns. 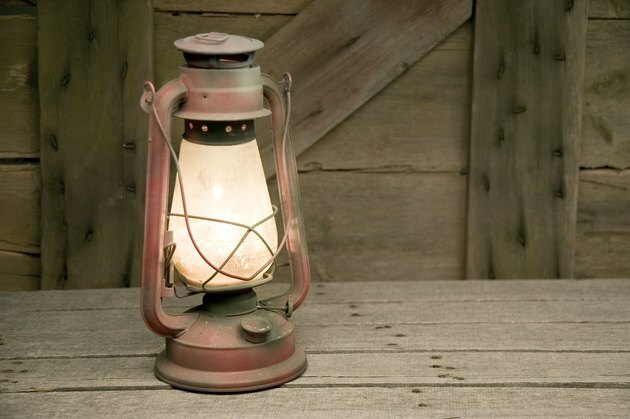 One quart of kerosene fuel in a kerosene lamp should last up to 45 hours. One quart of white gas will last up to a month or more when you burn the gas for four hours every day. Before using any lamp oil, open the bottle and check for any signs of debris inside the bottle. Any type of debris, including dust, may reduce the efficiency of the oil. Strain the lamp oil through a cheesecloth or strainer and discard the debris and fuel-soaked cheesecloth. Pour the oil back inside the bottle and add to your lamp. Discard any contaminated oil inside your lamps as well, including dust and dirt that settles inside the fuel reservoir. Keep the lamp oil in the bottles from the manufacturer. Lamp oil freezes at around 15 degrees F, and even warmer temperatures may start the freezing process. Before pouring the lamp oil into the lamp, check the wick and replace as needed. 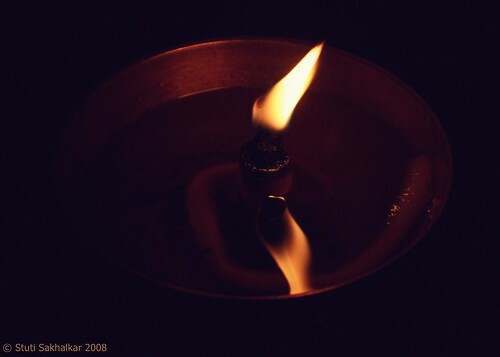 The wick needs replacing at least once a year -- more often if you use the lamp daily or weekly. Lower the wick as much as possible, which lowers the flame and reduces the amount of oil burned.